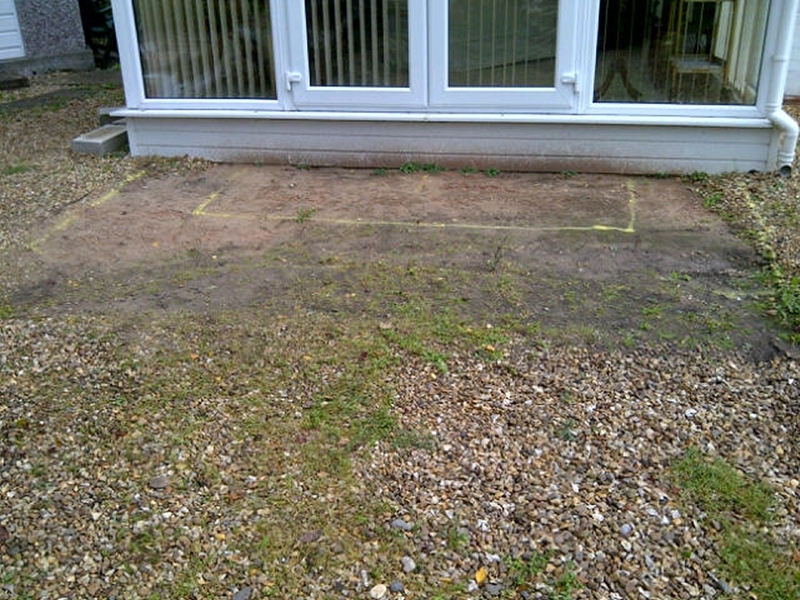 An existing conservatory had been built with patio doors opening onto the garden without a step. 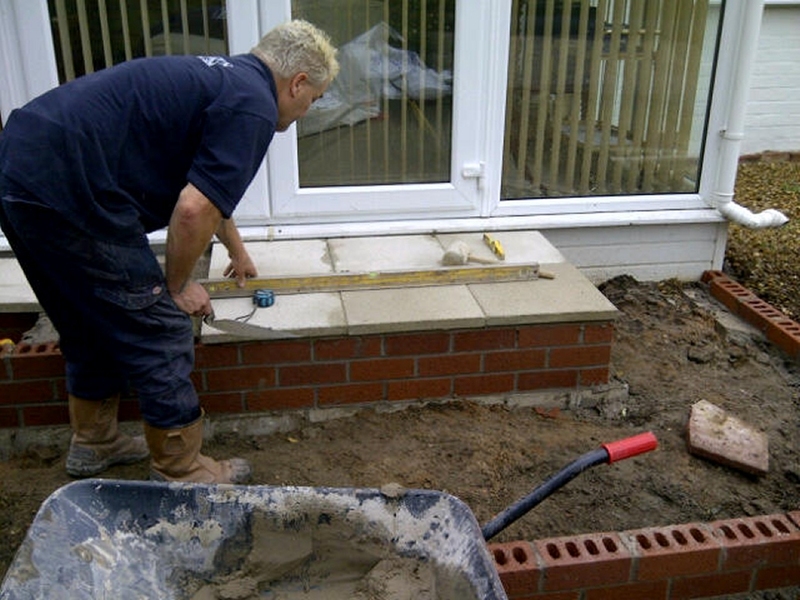 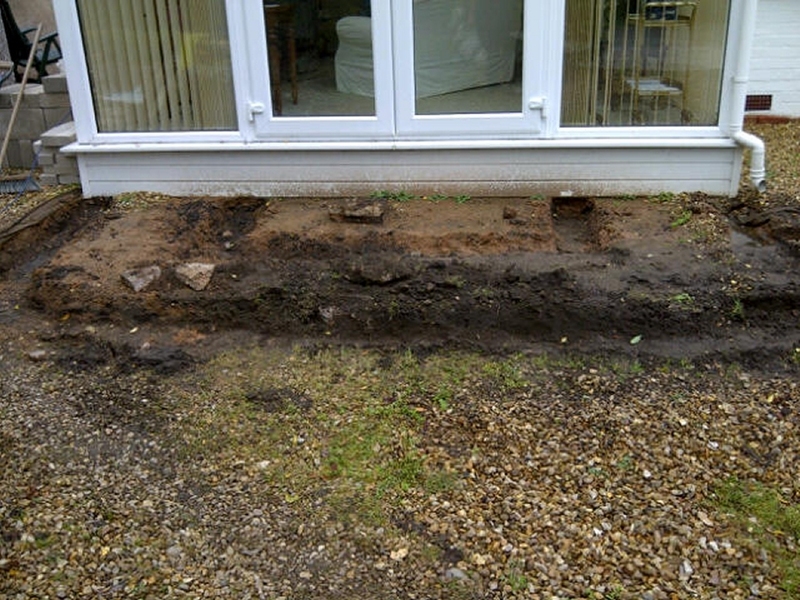 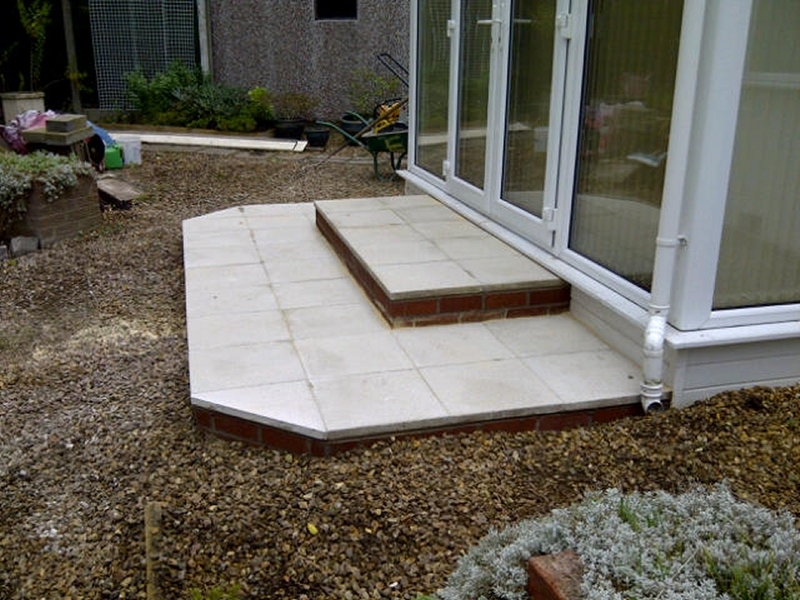 The homeowner, an 85yr old lady, requested that we build a wide step enabling her access to the garden. 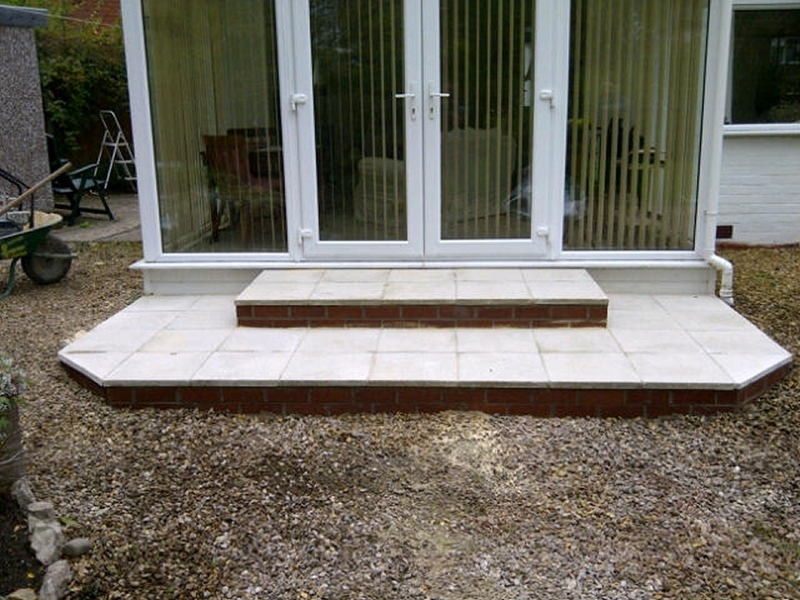 This was constructed of brick risers and concrete flags.